Well, Hanukkah is over now and I think that we've had some Christmas elves, aka Dreidel and Sir Latke have been perhaps the ones decorating now for the Christmas holidays. The cafe is looking so cosy now with twinkling lights on the tree. Anyone for hot chocolate, popcorn and some carols tonight? Wow, the Cafe looks lovely Wendy! You have absolutely done a splendid job of decorating it! I don't think I have ever seen it looking so purrfectly. I love an old-fashioned Christmas best of all! Little Gracie and I have been hard at work all day making 24 days of cookies from the Advent Christmas Cookie Calendar. Enjoy! We have just put the finishing touches on the Brown Butter Pecan Blondies but my favorite is the ginger cookie one. Well I must run but I will be back this evening. It is Christmas in Bethlehem already I think. It will be quiet here as we all sit by the fireplace, listening to the piano and singing Christmas carols. I will be drinking Godiva hot chocolate stirred with a peppermint candy cane after coming in from an evening Christmas Carol Mass. We can watch the the big snowflakes falling softly now on the patio and the garden. I love how clean and hopeful the world looks covered with snow and I love how quiet Christmas Eve is. Not even a creature will be stirring. Not even Gracie as we all dream of Christmas and the New Year ahead. Not a creature was stirring, not even a mouse...(I ate it). "Now, Bombay! now, Birman! Ragdoll and Burmese! 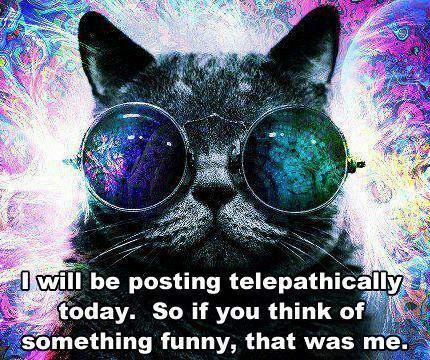 My felines are awaiting, they are all purring!" The scratching and clawing of each kitty's sole. You'd swear he was pedigree just him with his pack. His eyes -- how they twinkled! His whiskers how bold! His cheek hairs so soft, his nose...oh, how cold! He sprang to his cat box, to his team gave "MEOW!" "Meowy Cat-Mas To All, And To All A Good-Night!" Good for you Meriam going! I don't know if it is a good thing or a bad thing there was no-one there. But even if there was no-one in that evening, you give me such hope for a better world. People truly do care and try to reach out and help others. God Bless you and the Fearsome Four. The tea is on me. It must be pretty cold in Montana so come sit by the fireplace. I just threw another log on that smells like cinnamon. Colleen, I love the sign at the church!!!! 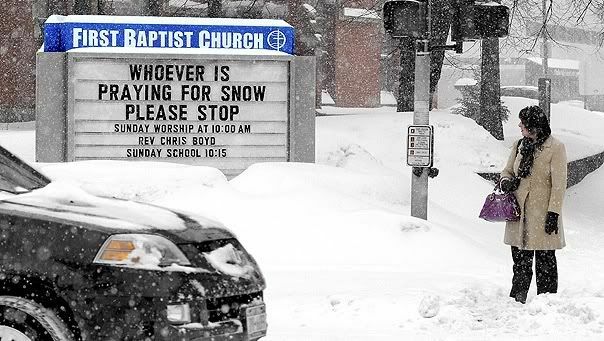 It is so funny and so true even for us in NC this year! I will bring the corn beef and cabbage on St. Patrick's day. See you here. Chai yall, The boyz, Silver, Hershey, Bradley and Schatzie are busy building the stage for the Purim Play. They are getting much advice from the Grand Dames, Sophie Esther Goldberg and Zoe Pearlman. Maedy Susan and CeeCee are in charge of coustume design. It is traditon,that Sophie will be Queen Esther and Zoe will second her friend. Silver will be Mordachai and the evil Hamman, that is always open for a long debate. Oops, I think Bubba just threw his hat in the ring. The Purim Party is in full swing. The Megillah has been read, the groggers are grogging and there is plenty of brisket, tons of hammentassen and much good cheer. Wishing all a very Happy Purim. All will not begin the countdonw to Passover. Oye veh more food. Hugs Meri and the bros, Sil and hersh from the bridge. Schatz and Maedy from the brige, The Grand Dames and all the others will be dancing well into the night. HAPPY BIRTHDAY FROM THE FEARSOME FOURSOME AND MOM. HAPPY BIRTHDAY FROM THE BRIDGE KIDS. WE WILL ALL SEE YOU LATER. Kiki, All of us are gathered and waiting for the guest of honor. Your cake is glowing with candles, hurry and make a wish. Thank you for the kindness and love Meri and bridge babies I love you Kiki I know you are watching me today so sorry you could not have the bows or take away the new red mittens. Dreidles will spin, treat will be plentiful and all will be warm a bright at the party tonight. To Kiki Wolf, wishing Kiki a very Happy Birthday. We hope that her earth family is doing well. Know that she is dancing with Silver and Hershey and dancing the night away. Hi Kiki, wishing you a Happy Birthday from our home to yours. Kiki and the Collies made you a wonderful Carrot Cake, topped with Cream Cheese, the clean up crew has licked all the bowls clean. Hot and cold beverages are ready for all later tonight. Tune up is happening with the band, so dancing will be available, Silver has already asked kiki for the first dance. Hershey is snuggled in with Betsy Noodle who has made her famous roast chicken. Once this place was filled with laughter, friendship, songs, good-will and everyone's coming's and going's... So many many people found it helpful to play here as part of their healing that I hope you drop by too. The staff, especially Little Gracie, are all busy now with renovations and cleaning out the cobwebs, hoping some of the regulars and many new people will drop by for Candy Cane truffles and egg-nog. Remember you are never alone at Petloss and how blessed we all are to have found a place to heal. I'm here celebrating, with an apple cider, being home after being in hospital 5 weeks. Oh yes and... Christmas and Hanukkah are a'coming!!! Are you ready,hummmmmmmmmmm, cleaning the Menorahs, gathering the ingredients for latkes and kugels, the Collies are fussing and fumming about the number of briskets, the applesauce has been made, the sour cream is on order, decorations will be ready to hang soon, the craft room is strewn with blue and white stremears, more hot glue is needed, the band is practicing Maozur, and other Hanukkah songs, classes for the blessing start on Monday morning led by Sophie Esther Goldberg, the Grand Dame of the Collies, her helper Zoe Pearlman will be available for tutoring all week. On Sat the 8th as darkness falls, the lights of the Menorahs will twinkle and the stry of the holiday will be told in homes across the world. Silver and Hershey are practicing so they have it perfect. All are invited, join us for this Happy Holiday of song, food and chocolates. Punkin mommy can I copy your picture and share on my facebook page? Also Wendy Decker, can I do likewise with the 2 orange kittys in the hats? So glad to hear you are sweeping the cobwebs out, Meri, and preparing this beloved old place for the Festival of Light and Miracles! 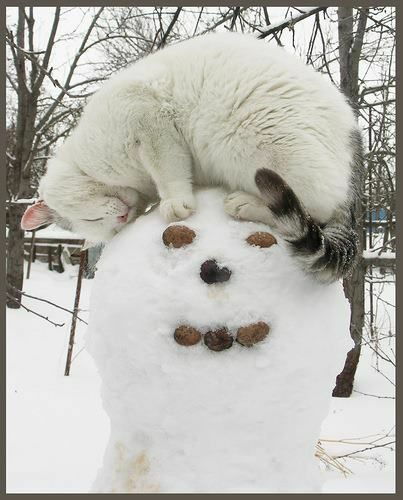 And yes, Andrea, to copying the picture of the adoring cat and Frosty the Snowman. I actually got it from a page on Facebook called "For Those who love Christmas". Only 28 more sleeps. Yippee!!! The tab, for once, is on me. And maybe Max and Hazel's Mom will stop by in the morning for a cuppa with us. 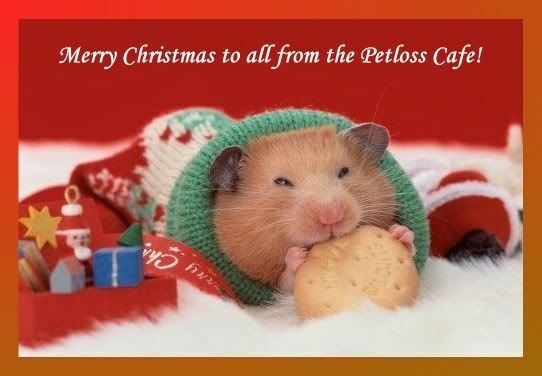 Perhaps you will even pen us another Petloss Christmas carol to brighten our days. It has arrived, the snow is snowing, the wind is blowing, the temps are going down and it is the first night of Chanukkah. Mozart is coming home from the hospital in just a little bit and we have his isolation crate decorated, he even has a dreidle waiting. Please join us as we light the first candle tonight to start the celebration. Brisket, latkes, applesauce, dreidle games, horas and just lots of fun are waiting for all to join us. Oh Chanukkah, Oh Chanukkah, come light the menorah. Gather round the table we will all dance a hora. Wishing those that ceelbrate the joy and miracles that this season brings. To those awaiting to start their celebrations we wish you health and peace as you prepare for your celebrations around the world. Gut Yundiff and Shalom to our entire Pet Loss family far and wide. Gosh, December since the last visit. I rarely look at Petloss now, but am glad it is giving comfort to so many people. I've just had some apple crumble, rice pudding and icecream and a drink of hot milk. Was that YOU? Good to know! 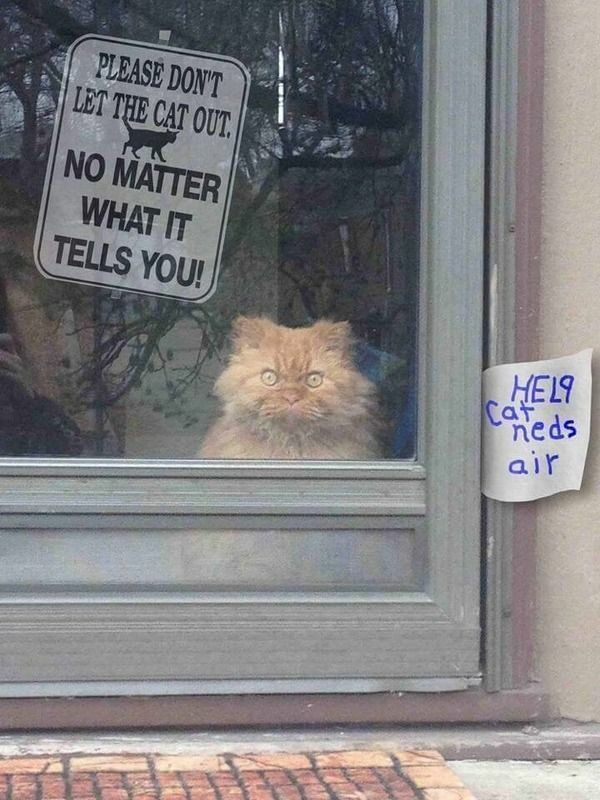 Just dropping by after I saw this in the window. It has been almost 2 years since the last visit here. Once so many people played here and on the old Petloss Board as part of their healing. We keep them in our hearts and their seats warm always. We are so lucky EdW (Bless Him always) created this Board for all of us in which we could heal. I hope some of you will drop by for a pot of tea and some freshly baked butterscotch cookies. In the words of the Friendly Giant, a Canadian favourite growing up, there is "one little chair for one of you, and a bigger chair for two more to curl up in, and for someone who likes to rock, a rocking chair in the middle." Truly room for everyone. As I wrote earlier this beloved place has undergone several renovations and has seen so many patrons through hard times. At one point it was a Bar and Grill even, as well as a Cafe and for a while it also had a gym and a spa and a Starbucks. I have found so much healing here, playing with good friends, drinking smart little drinks with umbrellas, laughing, comparing photos and sharing heartsongs. I seem to recall we even had a "Jammy" party one night. There is even a piano in the corner. As always Ed has thoughtfully given us everything we need. So in honour of all of us, but especially in honour of EdW, who made healing possible for so many of us, in so many ways, I will be sitting by the fireplace and toasting him. Thanks Ed from the bottom of my heart.